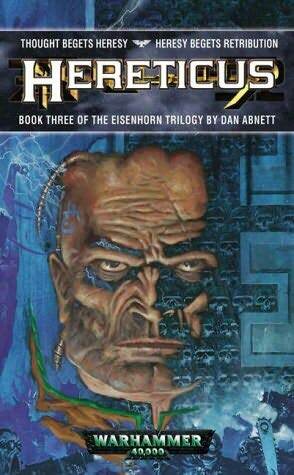 The Eisenhorn Trilogy reaches a satisfying conclusion in Hereticus, where some of Eisenhorn's more egregious mistakes from the first two volumes return for an accounting. The series is fairly obviously charting Eisenhorn's 'fall' from grace (if nothing else gives it away, it's on the cover blurb), but this isn't George Lucas's bull-in-a-china-shop approach to the downfall of Anakin Skywalker in the Star Wars prequels. Each decision Eisenhorn makes is logical and understandable on its own, with a downward spiral only discernible from a distance. A central facet of the story is the relationship between Eisenhorn and the daemonhost Cherubael. In the first two novels Cherubael was in control of this relationship, but in the third he is Eisenhorn's captive and occasional ace-in-the-hole. Yet is Eisenhorn really in charge of the daemon or is Cherubael exactly where he wants to be to bring about Eisenhorn's total corruption? As the novel continues this question appears to have several possible answers but, surprisingly, we are not given a definitive answer. Exactly how much of what has transpired in the trilogy is random luck and how much is down to the daemon's machinations is left up to the reader to decide, which is an interesting tack, possibly taken to account for different readers' different levels of disbelief. As the final book in the trilogy, Hereticus works well, answering long-standing questions and bringing the primary story arcs to a close. The fact that the ultimate fate of the surviving characters is unknown is a little odd (aside from Inquisitor Heldane, who crops up almost 400 years later in the Gaunt's Ghosts novels), until you realise that Abnett plans more books featuring these characters. The Ravenor Trilogy follows the adventures of some of Eisenhorn's allies and associates, whilst Abnett has plans for a further trilogy which will resolve some outstanding elements from both series. That said, Hereticus (****) gives enough immediate closure to make this a complete trilogy in itself, and one that is well worth a look. 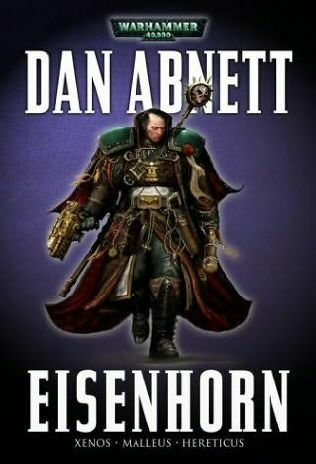 The book is available now as part of the Eisenhorn omnibus in both the UK and USA.